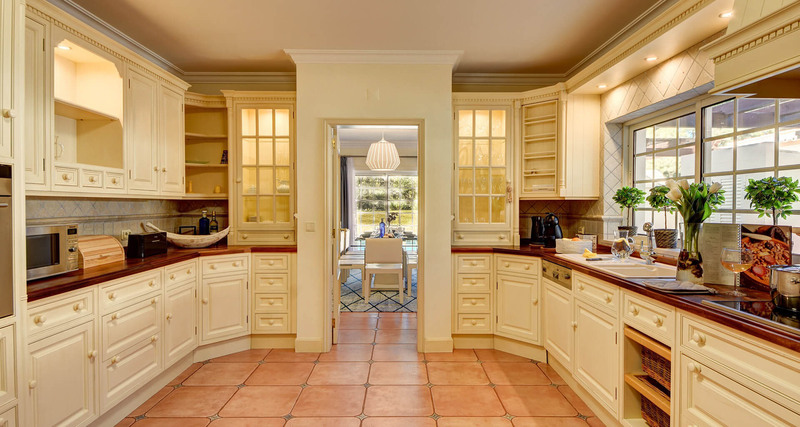 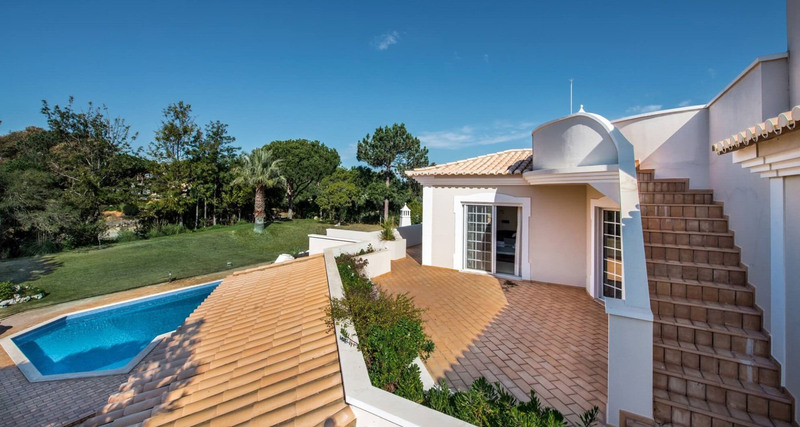 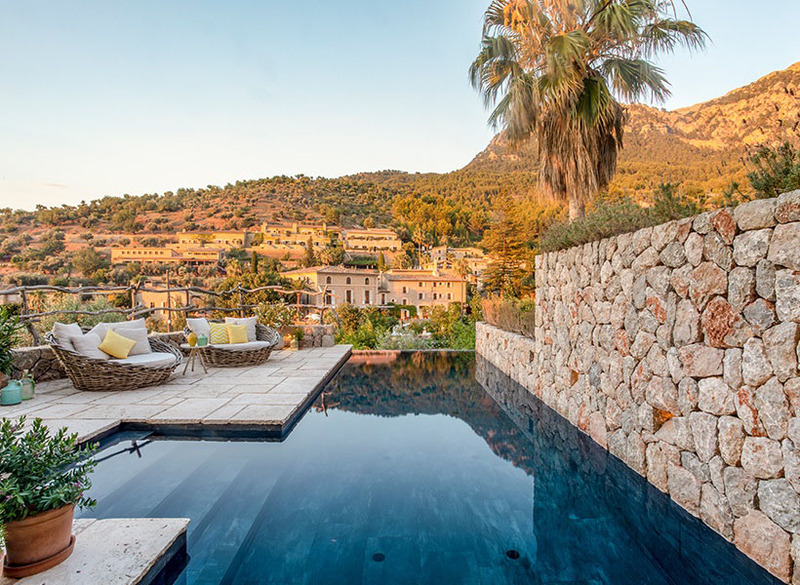 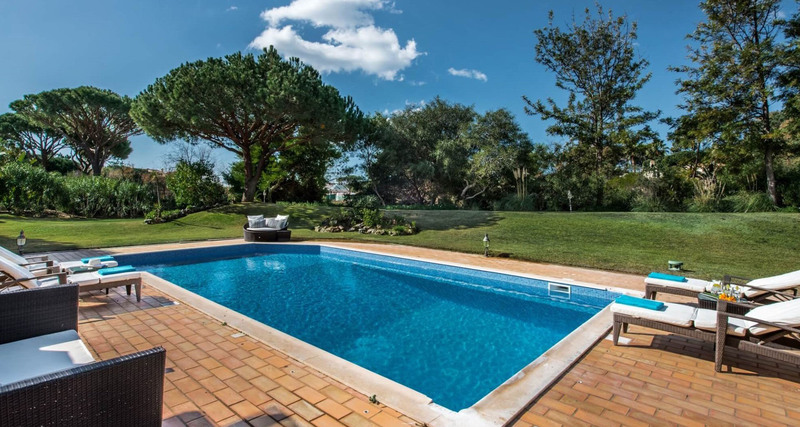 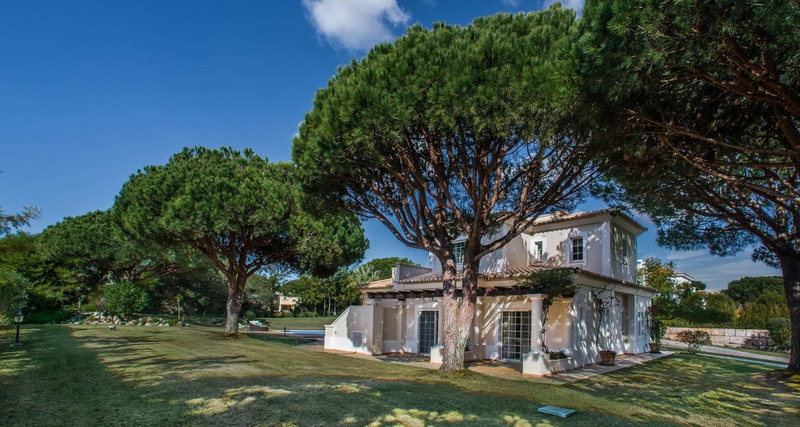 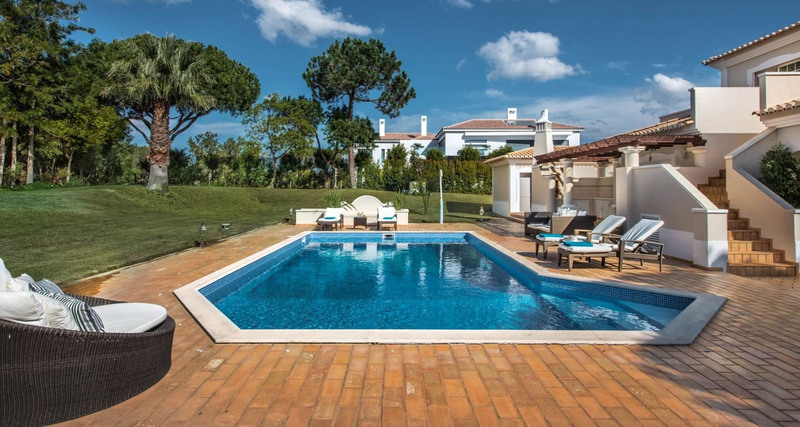 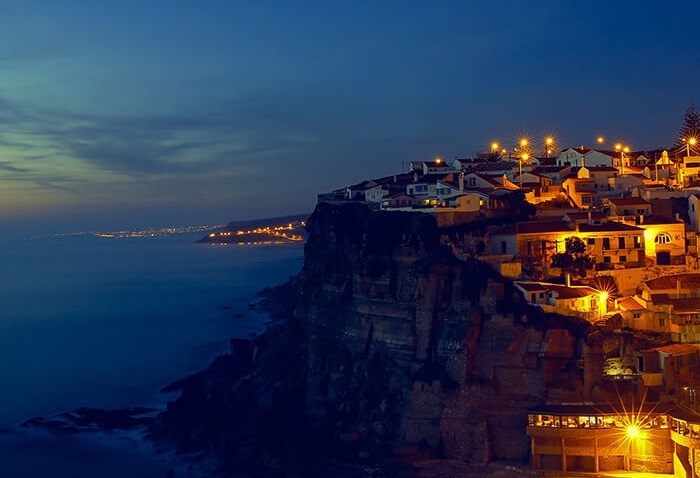 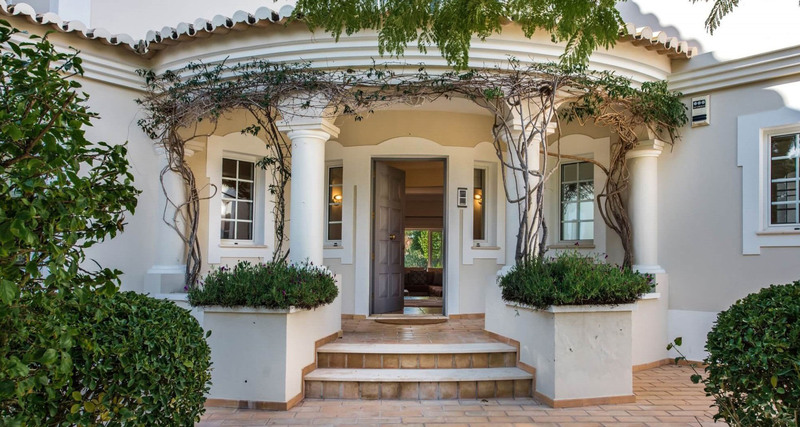 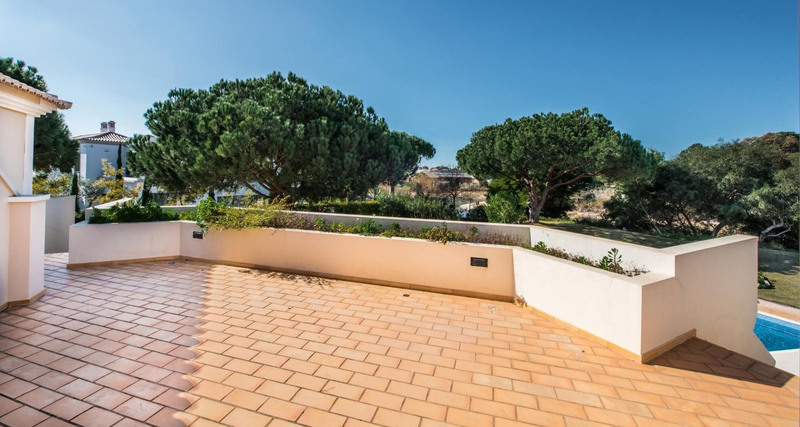 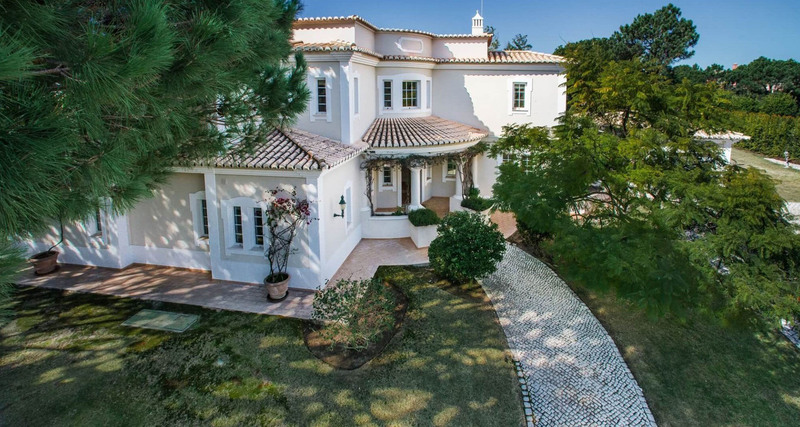 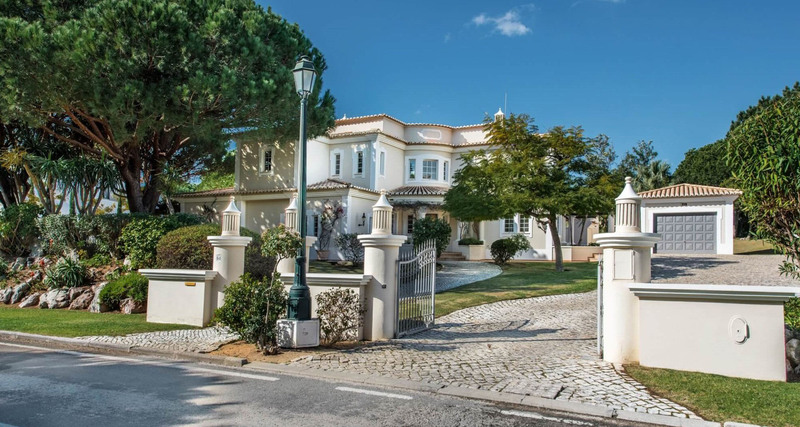 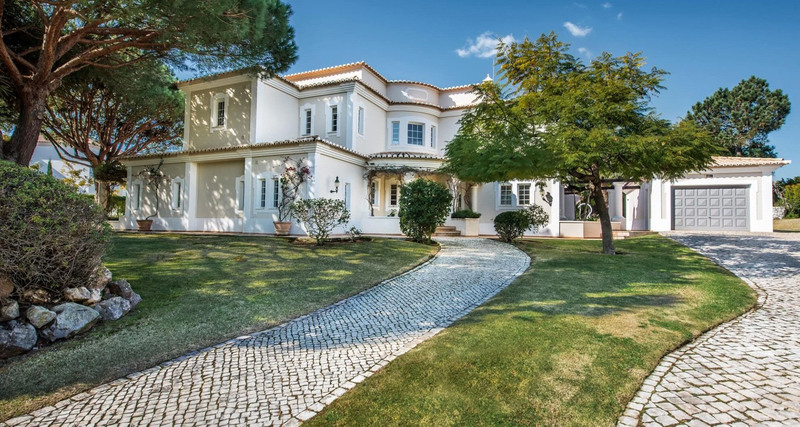 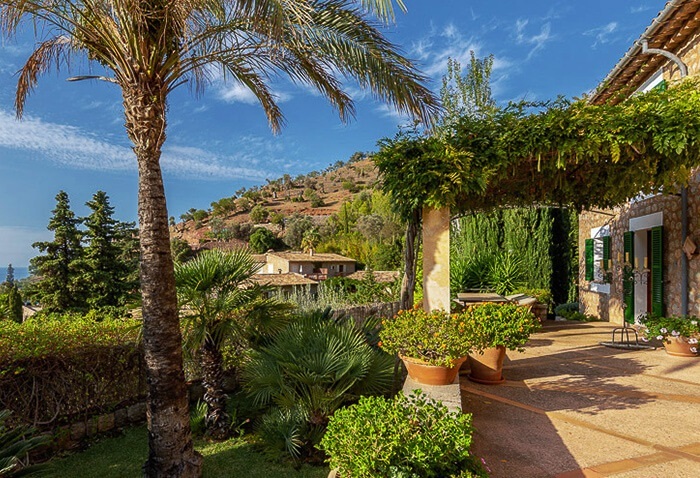 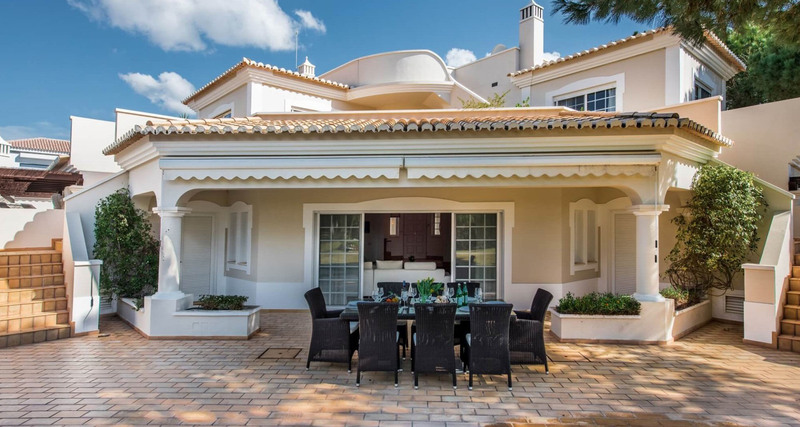 This villa is a stunning example of traditional Portuguese architecture set in a large, well established, landscaped garden. 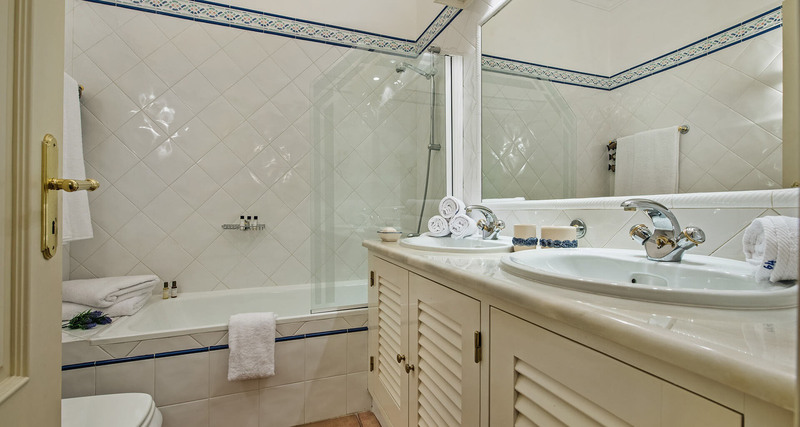 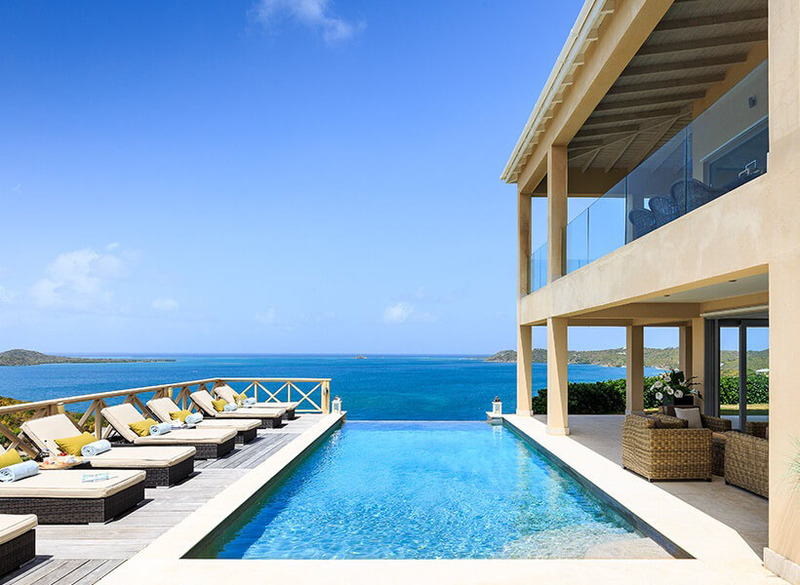 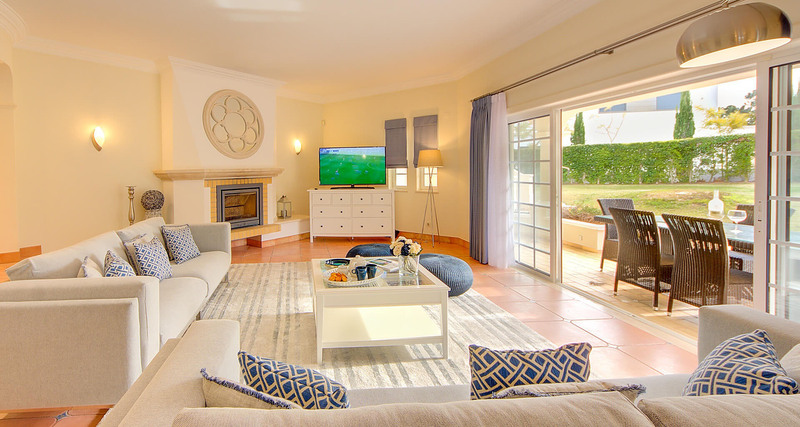 Both inside and out a lot of the traditional features have been maintained whilst the furnishings are tasteful and elegantly modern. 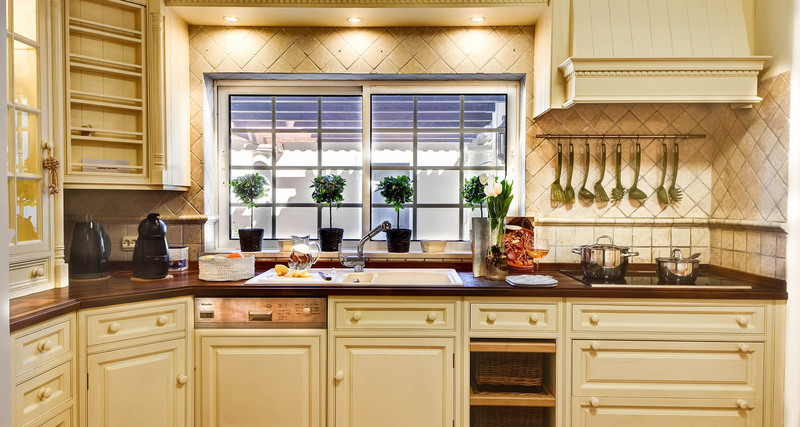 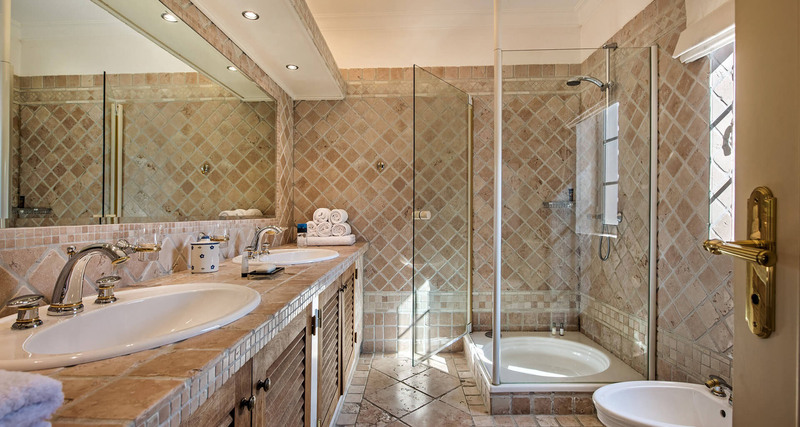 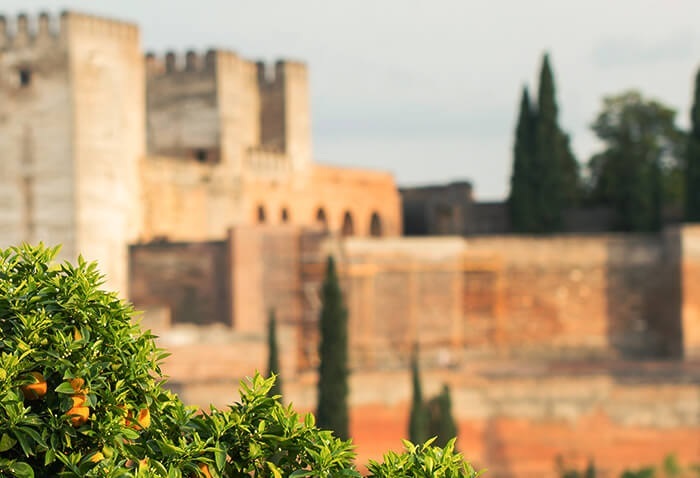 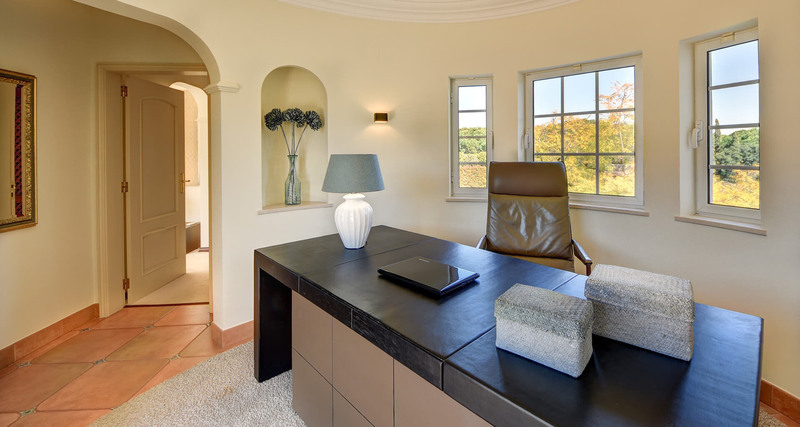 This mix works well to give guests a truly lovely, comfortable villa where they will feel right at home. 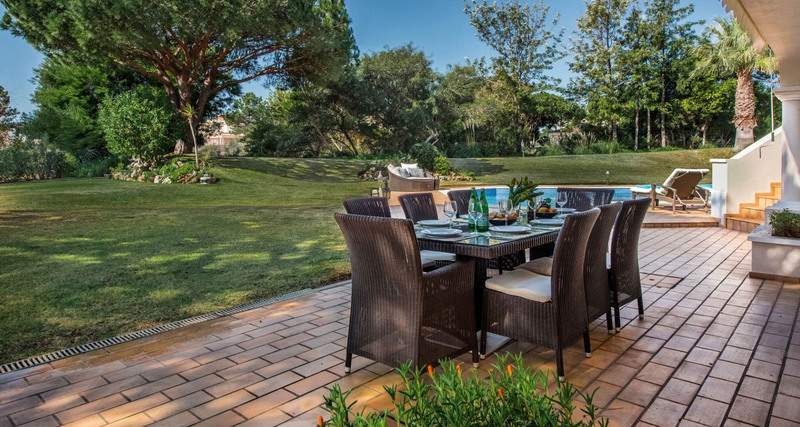 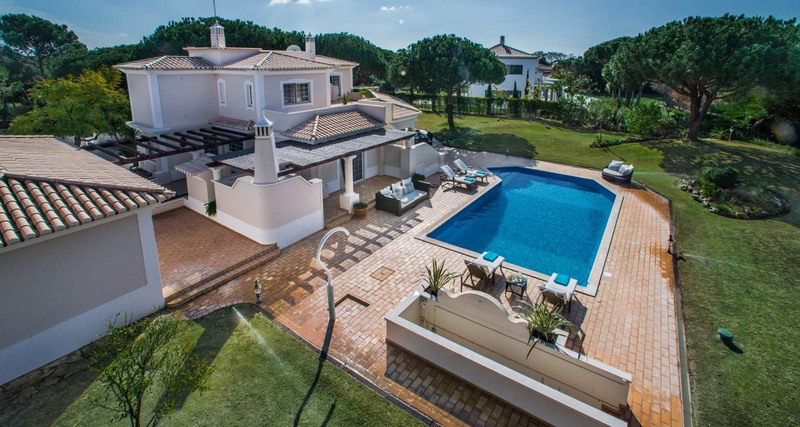 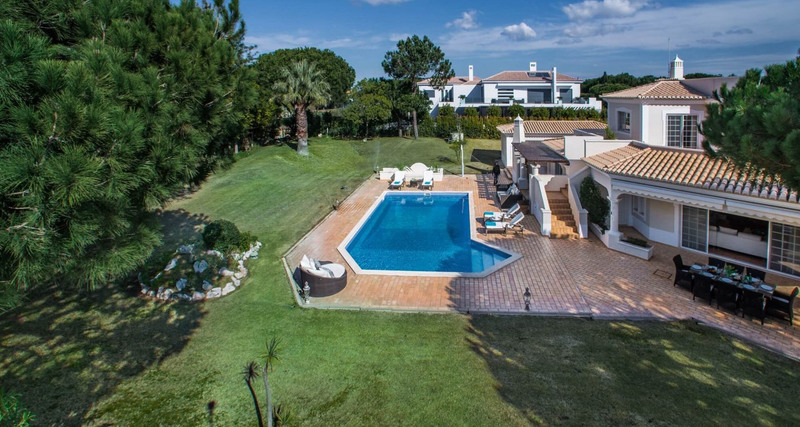 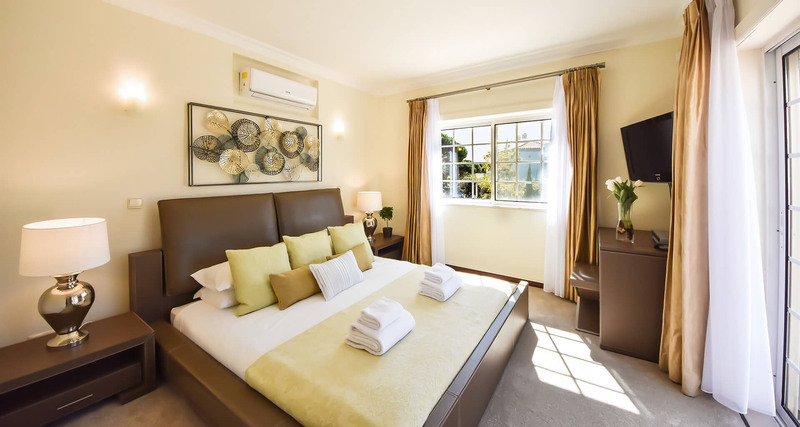 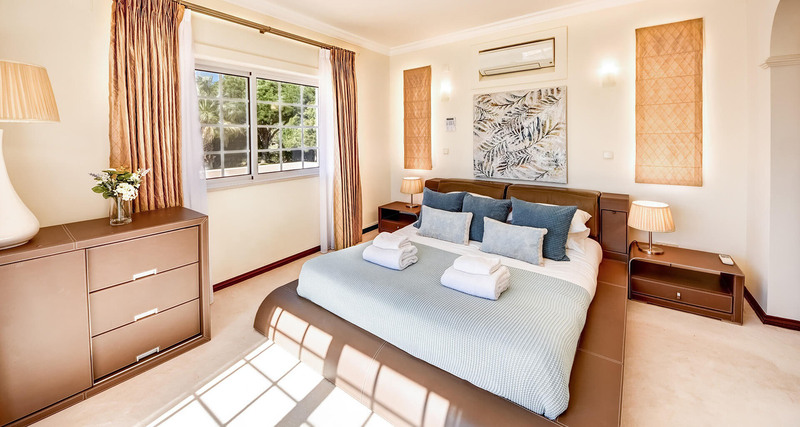 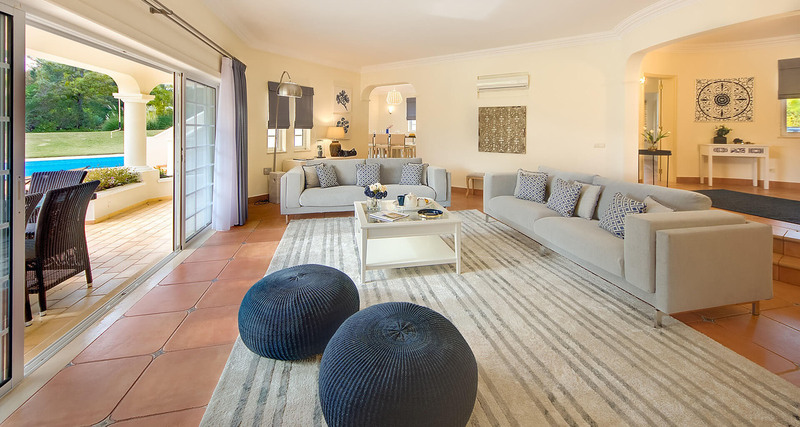 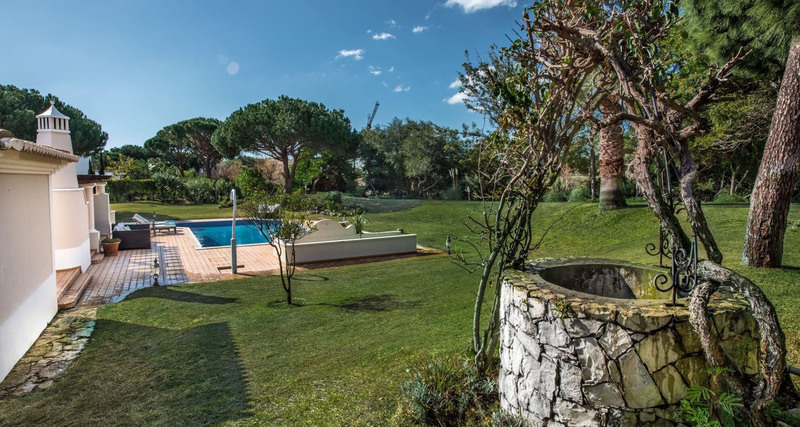 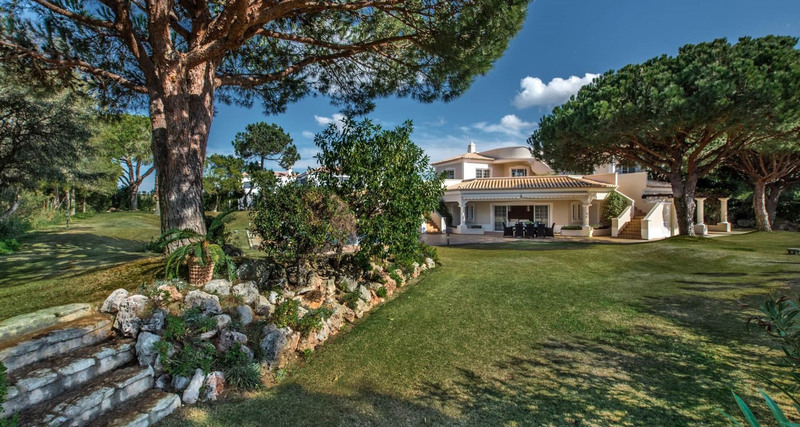 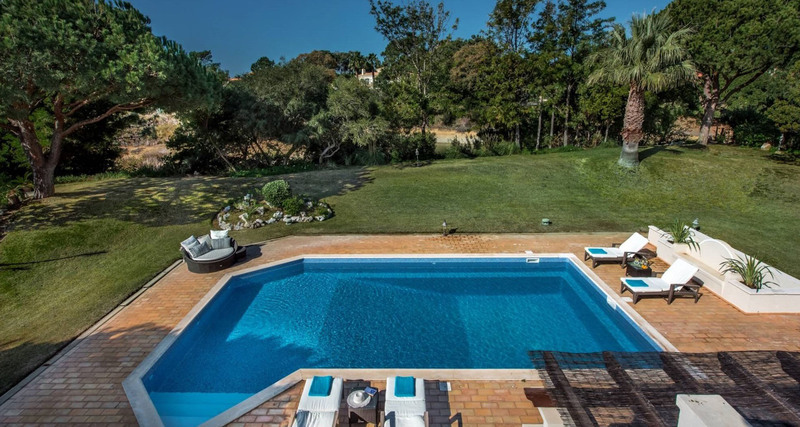 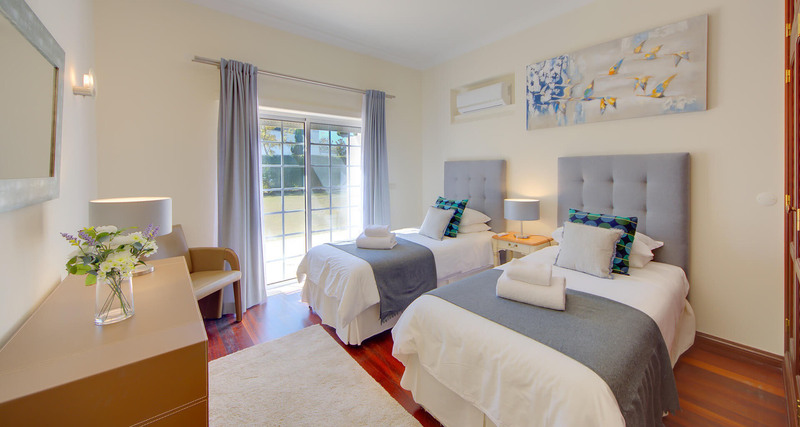 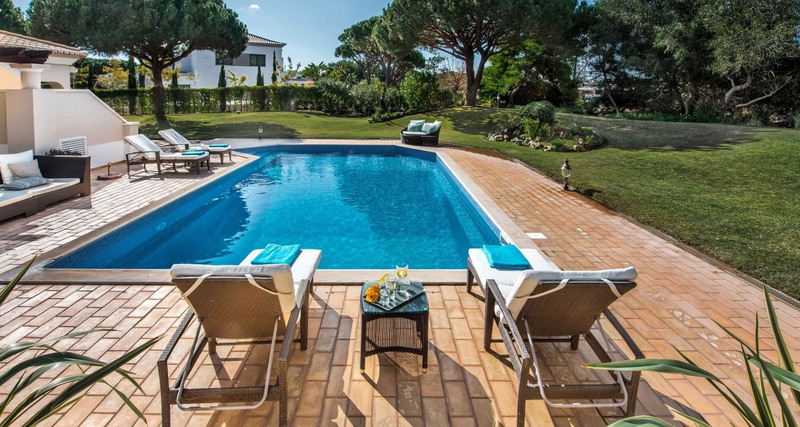 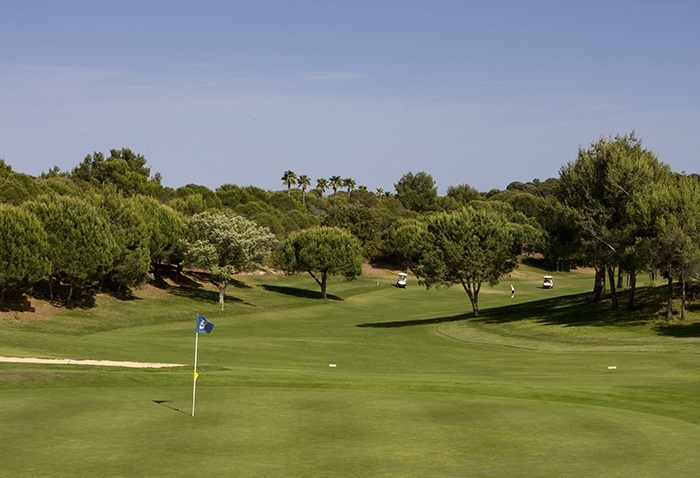 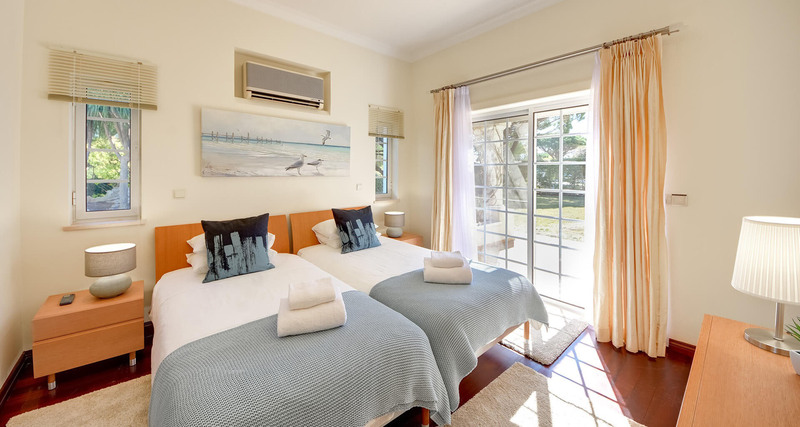 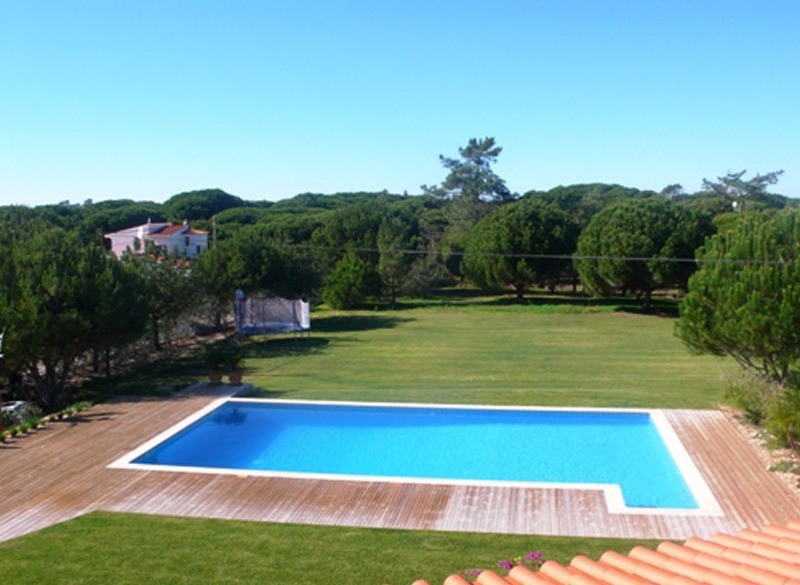 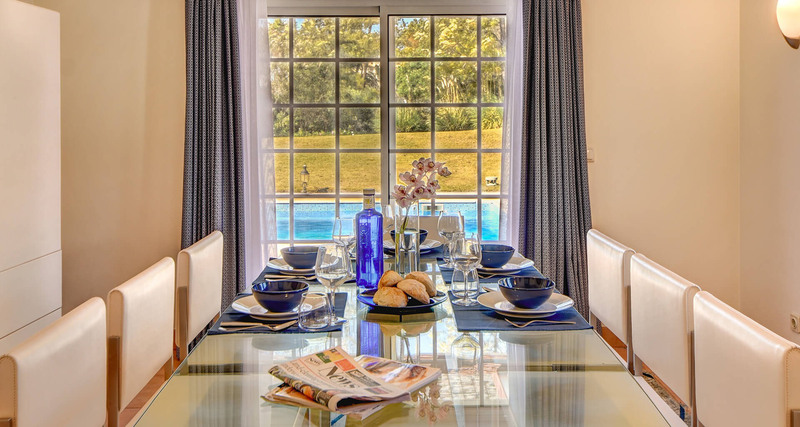 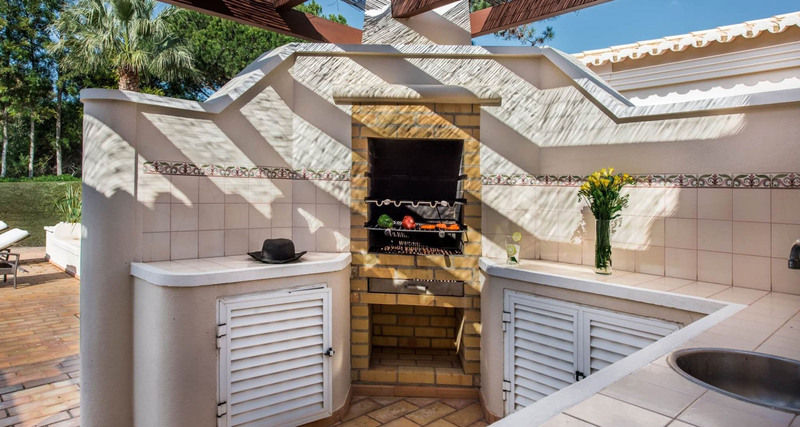 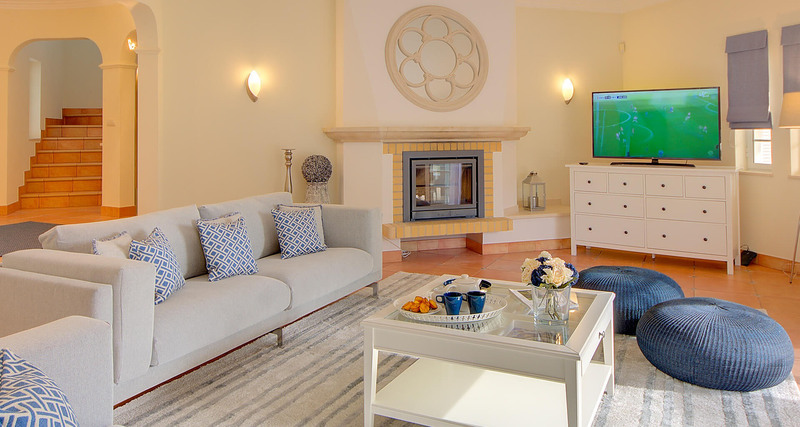 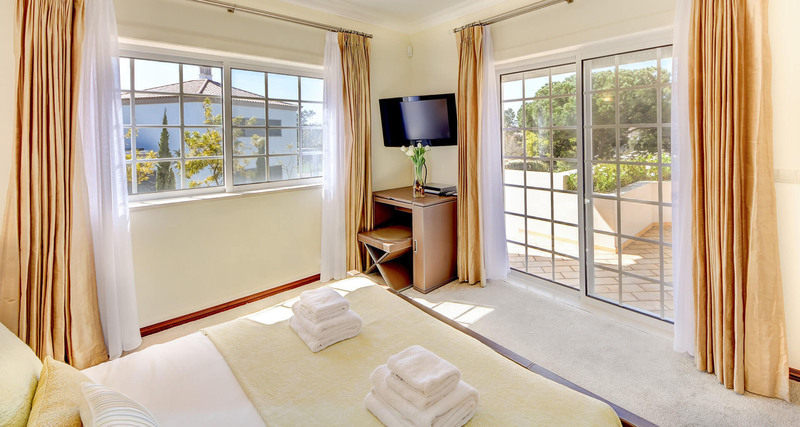 The villa is just a 25 minute walk to Quinta do Lago beach and the Ria Formosa Nature Reserve making it a popular choice. 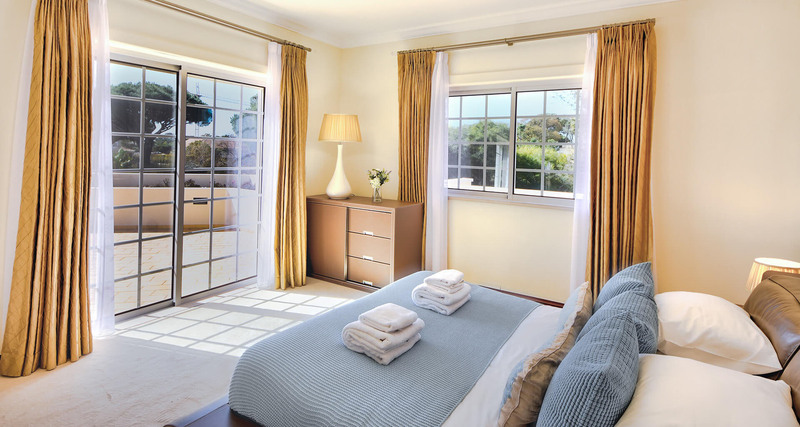 Maid Service4 hours per day 5 times per week except weekends and public holidays. 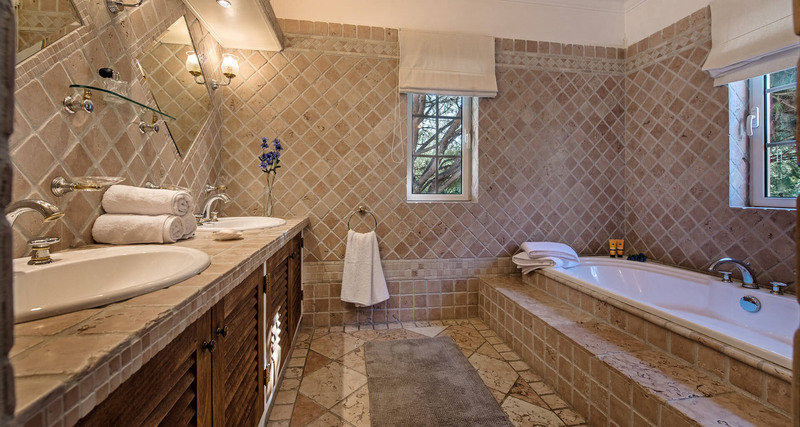 Towels and linens changed weekly. 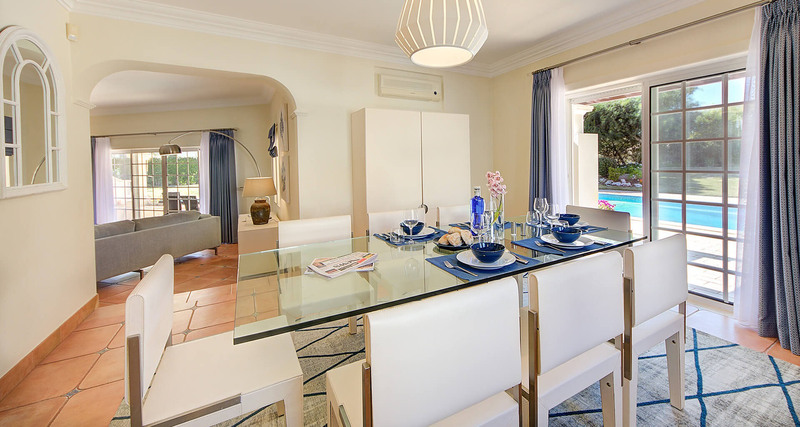 Fully fitted kitchen with all mod-cons – Spacious and bright living area with comfortable sofas and large windows which open out onto the outdoor terrace area – Indoor dining area with seating for 8 people – Laundry area with washing machine and dryer – Two ground floor twin bedrooms with sliding doors to the garden and pool terrace area, and en-suite bathrooms, one with a shower and one with a bath - Two first floor double bedrooms with en-suite bathrooms with bath tubs and sliding doors to balcony and staircase to the gardens and pool terrace area – Private swimming pool with open-air shower and ample comfortable sun loungers – Large terrace area with comfortable sofas and outdoor dining table with BBQ area – Beautiful landscaped gardens.